It’s always nice to have youth, especially in the ever-evolving world of college football. With youth comes great excitement and thrill. Typically, the goal is to have the younger athletes learn from those that have been there before them, in the hope of providing both short-term stability and long-term longevity. 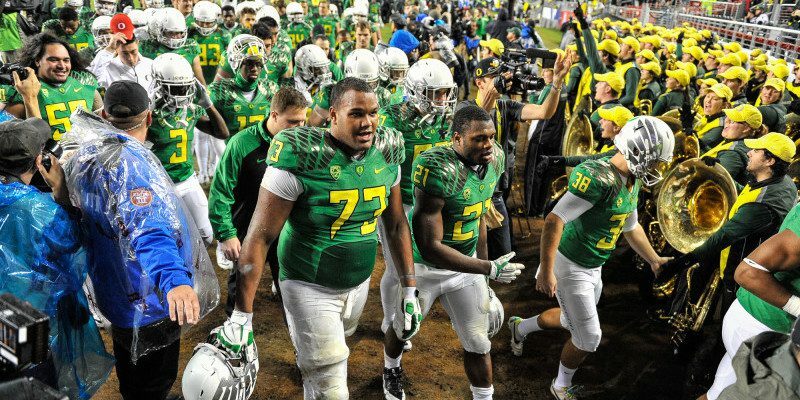 In my most recent article, An Oregon Ducks Dynasty in the Making, I highlighted four different factors (precedence, recruiting ability, coaching ability and on-field talent) that, if kept consistent year in and year out, would create a dynasty. These four factors strongly influence one of the critical factors in a team’s ongoing success: the overall output of underclassmen. Underclassmen (freshmen and sophomores) often make up the majority of a college football team. In most cases, they are the guys on the bench, learning and waiting for their chance to play as they grow older. 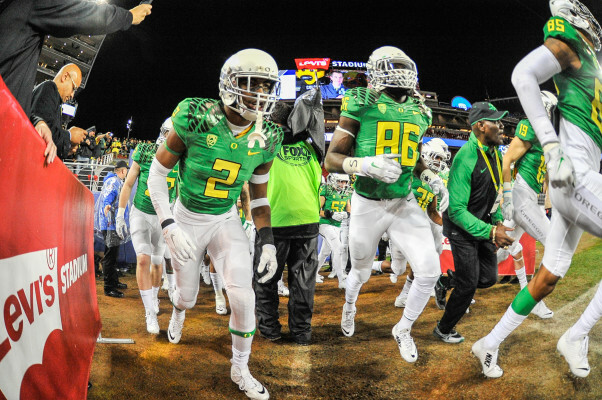 However, this year Oregon has a group of seven underclassmen that could have a major impact on the field right away. Join me as I go through the list. Honorable mentions: Arrion Springs: sophomore, CB; Ugo Amadi: freshman, CB; Danny Mattingly: redshirt sophomore, LB. This seventh pick is tough, as there are a lot of young guys that could find themselves contributing to this team, among them Taj Griffin and Malik Lovette. However, Merritt stands out a bit over the others. With his overall athleticism and size, coaches can use him in a variety of ways on offense and special teams. When Merritt signed his letter of intent to come to Oregon, I remember thinking that he was our next Charles Nelson (No. 2 on this list). Merritt has the skills to be an all-around player, much like Nelson. At 6-feet-tall and just over 200 lbs., Merritt has the size and athleticism to impact this team immediately. With all of the talent that this offense already has, Merritt won’t be spread too thin and can make the best use of his 4.37 40-yard dash speed. Experience — like that of playing in the Pac-12 Championship Game — will help Tyree Robinson solidify a young Ducks secondary in 2015. With the loss of safety Erick Dargan, widely considered to have been the Ducks’ defensive quarterback last season, San Diego’s Robinson will be thrust into the limelight. Robinson has already racked up a good deal of playing time. His 36 tackles last year ranked 12th on the team, with a third of them coming from his special teams play. The importance of having a capable strong safety cannot be measured in words. With a young secondary, Robinson will likely be given a lot of responsibility this season. This is a very bold claim, but I believe Kaumatule has the talent to be the next college Jadeveon Clowney. Standing 6’7″, and weighing 290 lbs., Kaumatule has the size to match DeForest Buckner and Arik Armstead, and the athleticism of a linebacker. The highly touted 5-star recruit recorded five tackles in the spring game on May 2, including 2.5 tackles for loss and two quarterback sacks. In his post spring game analysis, Charles Fischer quoted coach Mike Morris saying “He does not move like a man weighing 290 pounds, but as one who is much lighter.” We’ll have to wait and see how Kaumatule eventually pans out, but if early speculation proves accurate the Ducks have a superstar on their hands. 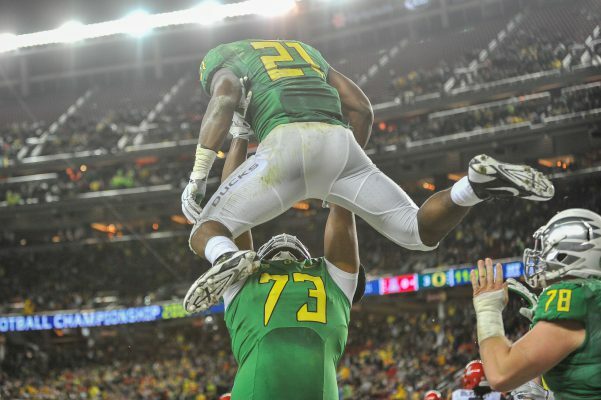 Crosby hoisting star running back Royce Freeman into the air after a touchdown in the Pac-12 championship game. Offensive line coach Steve Greatwood planned to redshirt Las Vegas native Crosby in 2014, but with the preseason injury to the projected starting left tackle Tyler Johnstone, Greatwood was forced to make the tough decision to start him. Greatwood moved now-Cincinnati Bengal Jake Fisher to left tackle, and threw Crosby in at right tackle to protect the right side of the line. Ultimately, his faith and confidence in the young tackle paid off. Crosby was a workhorse last year, helping to improve the Ducks’ overall offense. When Fisher missed two games with a leg injury, Crosby stepped in at left tackle, and he did so with ease. With the impending departure of Johnstone to the NFL, Crosby is likely to see a shift to left tackle for his junior season. 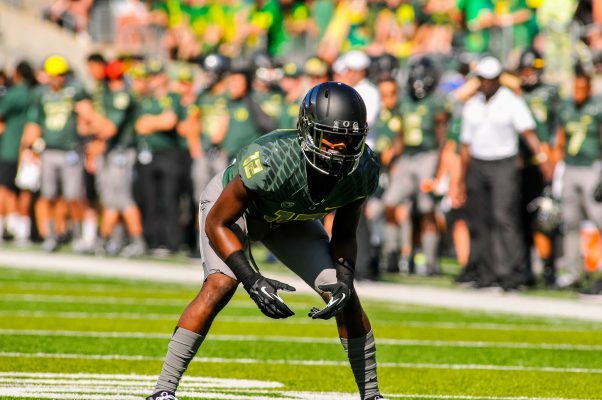 Seisay will rely on experience from his freshman season to help anchor a young, inexperienced Ducks secondary. With DeForest Buckner being tabbed as one of the best defensive players in the country, and a group of experienced linebackers returning, the pressure falls on the young secondary. 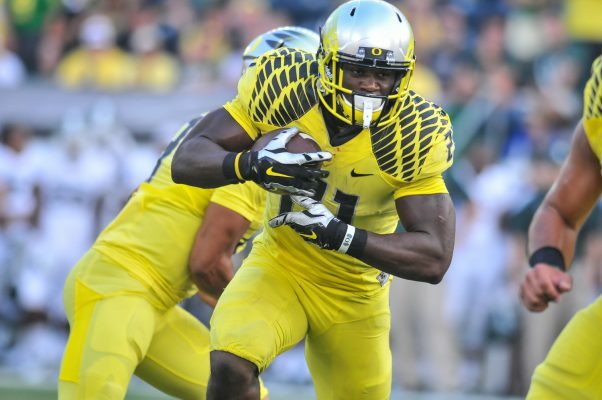 Seisay has big-game experience from last season, and the coaches will rely on him to anchor the Ducks’ defense in 2015. Seisay sprung into action immediately after Ifo Ekpre-Olomu tore his ACL while preparing for the Rose Bowl College Football Playoff semifinal game against Florida State. Seisay held his own quite well, and now he will be looked to as “the guy” in the secondary this year. Expect Seisay to have a big season – no fewer than five interceptions. Special teams, offense, defense — you name it, Nelson can do it. Nelson is arguably the most versatile player on a team filled with exceptional athletes. Brace yourselves for Nelson’s freshman season stats: 23 receptions for 327 yards and 5 touchdowns, 101 yards rushing, 589 yards and 2 touchdowns on punt and kickoff returns combined, and 16 total tackles. I’ll let the numbers help you finish making your judgement on Nelson, but it’s safe to say this guy is one of a kind. And I forgot to mention that he’ll most likely be starting at cornerback this season. ALL HAIL VERSATILITY! Mariota might be gone, but Freeman will be a Duck for a minimum of two more years. Are you surprised? You shouldn’t be. Head coach Mark Helfrich and offensive coordinator Scott Frost have already pinned the Pac-12 Offensive Freshman of the Year as the next “leader” on offense. Freeman’s freshman season included 1,365 yards rushing and 18 touchdowns, along with 158 yards and 1 touchdown receiving. I don’t think it’s too farfetched to say that Freeman has the makings of the next Marshawn Lynch. Enough said!